Starts of single-family homes surged 4.2 percent to an annualized rate of 696,000, according to data from the Census Bureau. This was the largest figure for this particular measure of activity since November 2013, according to Bloomberg. 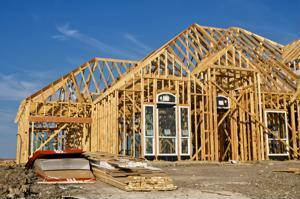 Privately-owned housing starts fell 2.8 percent to an annualized 1.1 million. Permits for privately-owned housing units reached 1.1 million in October, 1.2 percent higher than the year before and 1.3 percent greater than the previous month. This measure of activity improved as lower borrowing costs and more robust job growth helped fuel the continued recovery of residential real estate, the media outlet reported. "Conditions in the housing market are at least stable, and on the margin they appear to be improving a bit," Ryan Wang, an economist with HSBC Securities USA Inc. and the most-accurate forecaster in the last few years, according to Bloomberg data, told the news source. "We should expect continued gradual growth heading into next year." This improvement could potentially run into some speedbumps as the housing market struggles to overcome headwinds​, including stringent lending standards and very slow wage growth, Reuters reported. This compensation could improve, however, as the amount of slack in the labor market starts to decrease. Demand is also a concern, as figures from the Harvard Joint Center for Housing revealed that companies would need to construct between 1.6 and 1.9 million units every year to keep up with the creation of new households and existing population growth. For those who want to succeed as Realtors, being aware of the latest news involving building permits and housing starts is key. One good way to obtain comprehensive information on these figures, as well as mortgage records and warranty deeds, is to harness applications from CRS Data. To learn more about the CRS Data Real Estate Suite, click here.